The Northeast has had a wonderful start to the summer and it seems like everyone is just a little happier and a little healthier thanks to the good weather. Even my garden is just full of green goodies and that makes me a very happy gardener. Our home is in full swing renovation mode!!! The above photo is showing part of our bare new ceiling with a couple of new trusses. I must say that renovations take up a lot of time and work. We have decided to live in the house while this whole work is going on and let me tell you, it's like being in a construction zone all day long. All is well though and I still have a part of the house dedicated to my crafting needs. 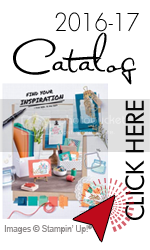 Speaking of crafting needs...Stampin'Up has finally come out with the new 2016-2017 Idea Book & Catalog and I must say that it is filled with wonderful new goodies. 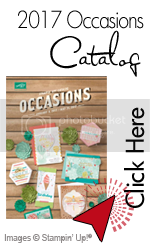 NOTE: As a reminder, anyone who places a minimum of $150 order always received stampin' rewards to use on any stampin'up product but this month, Stampin'Up is giving an extra $35 stampin' rewards for orders of at least $350. 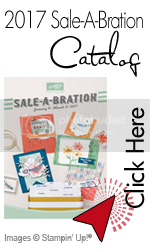 This month's ispiration gallery is full of samples using the new goodies as well as some old timers. Enjoy!!! Hope everyone has had a good start to the summer. Happy crafting!! !